As of September 2018, there are over 1,500 Bair Hugger warming blanket lawsuits pending in the MDL in Minnesota. In one typical case, a New York couple claims that a surgical warming blanket used after the husband’s hip replacement operation caused severe infections, resulting in four additional surgeries. A man and his wife filed a lawsuit in New York on Nov. 25, 2015, against 3M, the manufacturer of the Bair Hugger forced-air warming system. Medical facilities commonly use this blanket during knee and hip replacement operations. In addition to 3M, the lawsuit lists the Arizant Healthcare, Inc. and its subsidiaries as Defendants. The value of surgical blanket lawsuits is still being determined, but many of these infection cases involve serious injury and death. During the surgery on Oct. 24, 2012, medical personnel used a Bair Hugger on the man’s left hip, supposedly to help regulate body temperature. However, the warming blanket might have introduced bacteria into the surgical site, resulting in infection. The Plaintiff received five surgeries within 16 months, including the original surgery, and he now struggles with mobility and needs crutches to walk. According to diverse news reports, this Plaintiff is far from alone; many consumers across the nation have taken legal action after illnesses they’ve acquired after using the Bair Hugger, following hip and knee surgeries. The Plaintiffs noted that 3M sent a letter to the FDA way back in June 1997, that warned of possible contamination issues with this product. It is hard to make sense of the Fresenius dialysis debacle. People have been hurt – the most vulnerable among us – and it could have been so easily prevented. What I try to do below is lay out what happened and explain what I believe the future of these lawsuits to be. Fresenius Medical Care is the nation’s largest provider of dialysis treatments, with over 130,000 patients. Their dialysis facilities use GranuFlo and NaturaLyte acid dissolution products in treatments, which are products created by Fresenius. Countless non-Fresenius dialysis centers also use those products, which are sold by Fresenius. Defects in those products are terrifying not only because of the harm they could cause but because Fresenius has such a ridiculously high market share. This is not a product people want, it is a product they absolutely need. Stryker hip replacement lawsuits are being settled in massive numbers, but more are being filed. Seven new plaintiffs have filed hip replacement lawsuits in New Jersey state court claiming injury from a defective Rejuvenate metal hip replacement system, which was recalled in July. The plaintiffs live in Minnesota, Arizona and Florida but filed their lawsuits in New Jersey. Because Stryker is in New Jersey, there is no diversity jurisdiction which is why these plaintiffs are traveling to get to New Jersey. This practice drives Stryker crazy and I can’t entirely say that I blame them. But if you meet the right criteria, these are good cases and most of them will reach a reasonable settlement. We reported last month that Biomet metal hip implant lawyers are attempting to combine the federal lawsuits into a type of Biomet class action known as multidistrict litigation (MDL) The argument to combine them has only gotten stronger in that time. What Injuries Do Biomet Metal Hip Implants Cause? Biomet metal hip implants include the M2A Magnum, which is a medical device that we believe is connected to serious problems like blood poisoning and serious malfunction. Like other types of metal-on-metal hip implants, studies and research are beginning to show how dangerous Biomet’s hip implant is, and we’ve come to the conclusion that, like other metal hip implants, it is defective. These hip implants have two components, easily thought of as the ball and the cup. The metal cup rests in the pelvis at the hip, and the ball rests in the cup, and is attached to the upper leg bone. The problem with these hip implants is that, as the leg moves, the metal parts grind away at each other. This causes metal bits to shave off and to fall into the surrounding tissue, and sometimes into the patient’s bloodstream. Metal poisoning of the blood is called metallosis. When the metal gets into the body, it can cause irritation, inflammation and pain. In addition, the wearing away of the metal causes the Biomet hip implants to fail at a very high rate, which means that patients will require a second hip replacement surgery. What Progress Has Been Made In The Biomet MDL? The Biomet injury lawyers have requested that all cases filed in federal courts be grouped together before one federal judge, who will then steer and guide all of these cases, hopefully to Biomet metal hip implant settlements. When they first filed the request in MDL 2391, there were about eight Biomet lawsuits. That number has multiplied, and now, there are approximately forty cases. The plaintiffs’ lawyers will meet in New York City on September 20, 2012 (see the hearing schedule), where the Judicial Panel on Multidistrict Litigation will have a hearing to help decide whether to group these cases together. That’s about a month away, and additional Biomet hip implant lawsuits will be filed before then, which will increase the chances of combining these cases. Biomet has filed an opposition, and is resisting the MDL. They give the usual reasons, claiming that each case is unique, and it will be difficult to group them together. However, from past experience, we know that the cases have substantial similarities, and could benefit from group management. Interestingly, one other reason given by Biomet is that some Magnum hip implant cases have been settled already, and other cases are moving toward resolution. This is almost an admission that the metal hip implants are defective. This is the interesting story of a woman who scheduled to speak today to an FDA advisory panel hearing looking into the problems of metal-on-metal hip-replacement systems. The woman’s husband has a hip implant and is one of the thousands of plaintiffs who have filed a lawsuit against Johnson & Johnson’s DePuy Orthopedics division claiming its metal-on-metal ASR hip system was defective. Last week, the federal judge overseeing the Wright Medical hip implant MDL lawsuits named the plaintiffs’ co-lead and co-liaison counsel. These lawyers will help scores of other lawyers in directing the federal lawsuits involving hip implants. The Wright Medical hip implant MDL is a “class action lawsuit for discovery” that was approved back in February. It consolidated lawsuits stemming from concerns about defective hip replacements from a number of hip manufacturers. The problem began with the DePuy hip implant recall. Plaintiffs’ hip replacement lawyers realized pretty quickly that researchers were finding that the problem was not just with DePuy, but with metal on metal hip implants in general. There are two other ongoing hip MDLs: the original, the DePuy ASR metal-on-metal hip in the Northern District of Ohio, and another for the DePuy Pinnacle metal-on-metal hip. One big piece of evidence against these metal-on-metal implants is new. Two months ago, the Lancet, a top-notch British medical journal, published new failure rates of the metal-on-metal hip replacements using data from the National Joint Registry of England and Wales. The conclusion was grim: Metal-on-metal stemmed articulations give poor implant survival compared with other options. They concluded that these implants simply should not be used. Did Johnson & Johnson Knowingly Sell Defective Hip Replacements? Though widely hailed as breakthrough medical devices when they first came onto the market, experts are now recommending that patients avoid them. The onslaught of problems (which seems to span all metal hip implants, regardless of manufacturer) is one reason that Johnson & Johnson has been phasing out their DePuy ASR implants. Of course, the phase out allows a manufacturer to retire a device gracefully, despite the fact that a full-blown hip implant recall is warranted in these cases. What did Johnson & Johnson (DePuy) Do Wrong To Cause Hip Implant Injuries? As the authors of the British Medical Journal The Lancet said, the problems with metal hip implants that surgeons have discovered, could have been determined with adequate pre-market studies and regulation. If Johnson & Johnson did their homework, there would be a lot fewer people with these hip implant problems. The reality, though, is that a medical device manufacturer always makes more money by sending a defective device to the market than they do by canceling a project. In 2009, the FDA told Johnson & Johnson that it was rejecting the DePuy ASR hip resurfacing system. That letter went one step further by telling Johnson & Johnson that all of the DePuy metal-on-metal implants were suspect because of metal poisoning problems (See Hip Device Phaseout Followed FDA Data Request, New York Times). Regardless, these implants are still being implanted into patients. It is easy to forget what a rarity hip replacement surgery used to be. Today, people with artificial hips are ubiquitous. Direct costs of hip and knee replacements exceed $35 billion in the United States. More than 285,000 hip replacements are performed annually in the United States and it is projected that total joint replacement will increase to 4 million patients annually due to the aging population. Until very recently, hip replacements have been applauded as a wonderful, revolutionary way to get people back on their feet with less or no pain. But with this revolution came medical device makers looking to make as much money, and get as much market share, as possible. The temptations for hip makers was extraordinary. Hip replacement surgery may be recommended in cases where hip pain limits daily activities, continues while resting (night or day), limits the ability to move or lift the leg, or in cases where pain relief is not provided by physical therapy, walking supports or anti-inflammatory drugs. 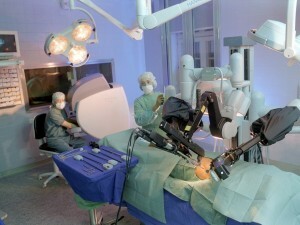 Hip replacement surgery has a high rate of success, due to improvements in surgical techniques and technology. Total hip arthroplasty (total hip replacement) involves removing the damaged bone and cartilage and replacing it with prosthetic components. These components did not come cheaply but health insurance companies readily admitted that this was the appropriate treatment for people with compromised hips. Though many hip replacement surgeries are successful, there is risk for infection, failure, and other adverse effects. Concerns have been raised in peer reviewed publications relating to metallosis, the build up of metal debris in soft tissues or blood. Reports are generally restricted to metal-on-metal devices, or those constructed with acetabular polyethylene liner. Metal-on-metal devices often contain cobalt or chromium. Although the occurrence is rare (occurring in approximately 5.3% patients), it is a serious complication associated with these devices. Metallic debris can occur due to malpositioning of the implant, subluxation, or jamming of the femoral head. DePuy issued a U.S. recall of its metal-on-metal ASR hip implants in August of 2010 (after 93,000 implant procedures) because of an extremely high failure rate requiring patients to have revision surgeries. Evidence so far indicates that the device is exceedingly difficult for orthopaedic surgeons to implant properly. For background on the DePuy saga, see prior DePuy Drug Recall Lawyer Blog entries. The Australian Senate likened these hip implants to “ticking time bombs.” They want a system put in place to monitor adverse outcomes for hip implant patients, and they want to make sure doctors and patients are aware of the problems they may be facing. Most importantly, they want to make sure implant patients are continually monitored for future problems. Brain stents, which are used by cardiac surgeons to open up a blocked artery and are designed to prevent strokes in high-risk individuals, may paradoxically and tragically actually increase the risk of stroke and death. How much more? According to a recent New England Journal of Medicine article, patients receiving brain stents were found to have twice the rate of strokes and death compared to those without brain stents. The risks became so apparent that the National Institute of Neurological Disorders and Stroke called off enrollment in a clinical trial.